If you’re looking for a beach vacation with a little more activity involved, Tampa Bay is the place to be. Home to white-sand beaches, calm rivers for kayaking and unique wildlife, and a bustling city full of amazing restaurants and great shopping – the city has something for everyone. Choose to visit one of the craft breweries that have been popping up all over the city, get in a round of golf, or visit an aquarium or zoo with the family – and spend some time splashing in the ocean as well! The biggest of our beach destinations in this post is definitely one to visit and experience for yourself. Check out the plethora of amazing rentals available – you’ll be sure to find one perfect for your dream stay. For a quieter beach community just north of Naples, Bonita Springs is an outdoor enthusiast’s wonderland. 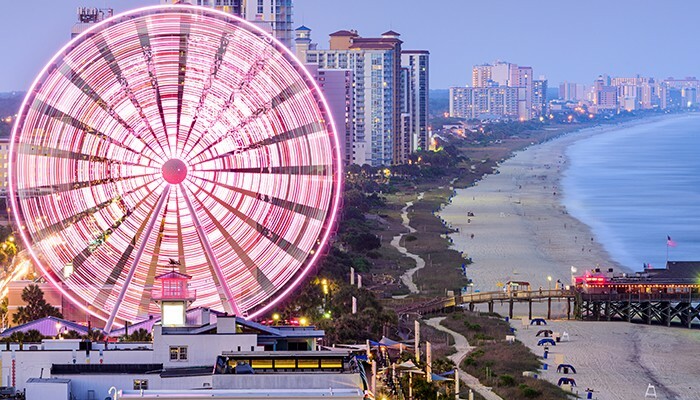 With white sand beaches, amazing golfing, and a nature conservation area close by, it’s the perfect coastal town to relax, explore, and enjoy the Southern Florida charm. Dine on fresh from the dock seafood and take boat tours on the Gulf of Mexico. Sounds like paradise to us! If you’re looking for an ‘elevated’ beach holiday, Naples is the place to visit. Famous for it’s excellent shopping areas and world class dining, Naples is the perfect place to enjoy a glass of crisp white or a creamy coffee looking over the water. Browse local boutiques or high-end big name shops, visit beach-side bars and wine lounges, and of course, spend days on the white-sand beaches (it is Florida, after all). For another bigger beach destination, Cape Coral is a gorgeous choice to spend your vacation. This Gulf Coast holiday spot is a favorite for families. You can take your children to have fun on the beach or watch golf in one of the many golf courses. The amazing water parks also make for great family activities. People from various all over the world travel to this area every year to enjoy their holiday, for good reason. There are also a ton a vacation rentals with enough space to fit families (and extended families) big and small for a dream vacation. When it comes to beach vacation destinations in Florida, Destin is the cream of the crop. With some of the most beautiful beaches in the world, world-class fishing (home of the ‘World’s Luckiest Fishing Village’), unique dining destinations, and several challenging golf courses – there’s something for everyone in this little piece of paradise. With vacation rentals in Destin being both common and gorgeous, it’s easy to see why this is the top-searched and booked destination on our sites. It’s pretty clear why Florida is a the top searched destination for those looking for vacation rentals. It’s the perfect place for family reunions, group vacations, honeymoons, and long-stay holidays. 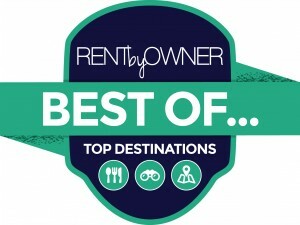 We’ve outlined the first winners of our “Rent By Owner’s Best Of” campaign – make sure to check out these amazing beach destinations in Florida, and stay tuned for the next winners in our series! Want to nominate your favourite spot? We’re awarding coffee shops, restaurants, small businesses, towns – anything you think is amazing anywhere you can travel. We’d love to hear your vote! Let us know in the comments or on Facebook or Twitter!